Majlis Sukan Wilayah Persekutuan – Wipers or The Kuala Lumpur Sports Council was established in 1979 under the National Sports Council of Malaysia Act 1971 and National Sports Council of Malaysia (Amendment of Second Schedule) Order 1988. Then under the administration of the Kuala Lumpur City Hall, it was responsible for the development of sports programmes in the Federal Territory of Kuala Lumpur such as the sports development programme to hone young athletes as well as talented and high performance (elite) athletes at the national and international levels. On 28 October 1996, the Kuala Lumpur Sports Council was removed from the Kuala Lumpur City Hall and placed under the Federal Territories Development and Klang Valley Planning Division (FTD KVPD) of the Prime Minister’s Department in accordance with the decision of the Working Committee on High Office Review (JKTT) No. 10/1996. On 27 March 2004, the Ministry of Federal Territories was established and the Federal Territories Development and Klang Valley Planning Division of the Prime Minister’s Department became part of it. However, the establishment of the Kuala Lumpur Sports Council in 1979 did not cover the three Federal Territories of Kuala Lumpur, Putrajaya and Labuan, as specified in Section2(a) of the National Sports Council of Malaysia (Amendment) Act 1979 (Act A460). The section merely states the existence of the Federal Territories Sports Council and the State Sports Council, with no specific reference to the Kuala Lumpur Sports Council. Mindful of the provisions of Act A460 as above, the Ministry of Federal Territories took the step to establish the Federal Territories Sports Council. This proposal had been approved by the Ministry of Youth and Sports through the letter KBS.BS.01/117(3) dated 21 February 2005 and its establishment was gazetted on 9 March 2006. With the establishment of the Federal Territories Sports Council, the Kuala Lumpur Sports Council, Labuan Sports Council and Putrajaya Sports Council shall function as the District Sports Councils of the respective Federal Territories. Therefore, the administrative affairs of the Kuala Lumpur Sports Council shall fall under the responsibility of the Kuala Lumpur City Hall; the Labuan Sports Council under Labuan Corporation; and the Putrajaya Sports Council under Putrajaya Corporation. 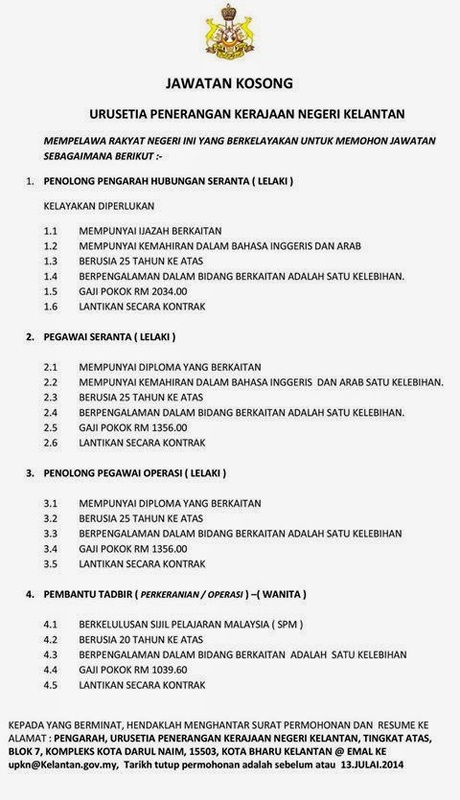 The Federal Territories Sports Council shall serve as a central body to the three Sports Councils, in charge of sports development in line with government policies, including arrangements for the selection of athletes and preparation of Federal Territory teams for the Malaysia Games (SUKMA). Currently, there are eight (8) sports associations under the auspices of the Federal Territories Sports Council, 28 under the Kuala Lumpur Sports Council, 19 under the Labuan Sports Council, and 7 under the Putrajaya Sports Council. The Federal Territories Sports Council is responsible for the implementation of sports development programmes, training, organising of tournaments/courses/seminars, and ensuring the participation of all sports associations in the Federal Territories in local and international tournaments. In addition, the Federal Territories Sports Council is the secretariat to the Federal Territories Contingent during the Malaysia Games (SUKMA) which is held once every two years. In terms of achievements, the Federal Territories Contingent was placed 5th during the 2008 SUKMA XII held in Terengganu. The Federal Territories Sports Council became a federal statutory body on 1 April 2012. Kementerian Belia dan Sukan Malaysia – KBS is a ministry under the government. Minister for the ministry is the Honourable Mr. Khairy Jamaluddin Abu Bakar. The early formation of the Ministry of Youth and Sports begun in 1953 with the incorporation of the Culture Division under the Department of Public Welfare. At that time, The Culture Division was given the role and responsibility of handling all matters relating to the youth affairs in Malaysia. Later in 1964, the Culture Division was placed under the Ministry of Information. At the same time, as a consequence of the growth of organizational activities among youths, a Youth Division was formed to inculcate and supervise these activities under the ministry. Besides that, a Sports Division was also formed under the Ministry of Information. The Ministry of Youth and Sports was only formed on 15 May 1964 in conjunction with the National Youth Day celebration of that year. In 1972, the Culture Division was established, and this has lead the Ministry of Youth and Sports to change its name to the Ministry of Culture, Youth and Sports until 1987, as the Culture Division was eventually relocated under the Ministry of Culture, Arts and Tourism. Since then, the Ministry of Culture, Youth and Sports was reverted to its original name which, today, known as the Ministry of Youth and Sports. Ministry of Youth and Sports (MYS) was given the mandate to implement the policies of the Malaysian government, particularly in the areas of Youth and Sports development. Perbadanan Kemajuan Pertanian Selangor – PKPS was established on January 2, 1972 under the Enactment No.1972 and implement activities officially on March 1, 1973. PKPS role is developing the agricultural industry for accelerating socio-economic state of Selangor Darul Ehsan. Langkawi Development Authority – LADA was established by the federal government to plan, promote and implement development on the island of Langkawi.LADA was officially established on March 15, 1990 under the Langkawi Development Authority Act 1990 (Act 423) and placed under the authority of the Ministry of Finance. Leading the socio-economic development , infrastructure and development of tourism products . Providing investment opportunities to develop the economy and tourism. Encourage community involvement in socio -economic activities and culture . Promote Langkawi as an international tourism destination .